Shamrocks-N-Sirens 12 day Reader's Event is proud to have with us today, Author D.A. Graystone. His suspense filled Psychological Thriller ‘Two Graves’ allows readers to take a look into the mind of a criminal. Derek Graystone was born in Rivers, Manitoba, Canada. After a brief stay there and in Trenton, Ontario, Canada, Derek has spent the majority of his life in London, Ontario, Canada. He graduated from the University of Western Ontario with a Bachelors Degree in English Literature in 1984. Derek has had a varied career including jewellery store manager, warehouse manager for an ice cream distributor, manager of a gas station, and the finance and systems manager for a children's charity. In 2002, Derek quit his day job and started his own office automation and Internet presence company and a relaxation massage business with his wife. Derek is also a Reiki Master as well as having a successful online Wiccan business. Derek's first book, The Schliemann Legacy, is a spy thriller involving Nazis, terrorists and the hunt for the treasures of Troy. 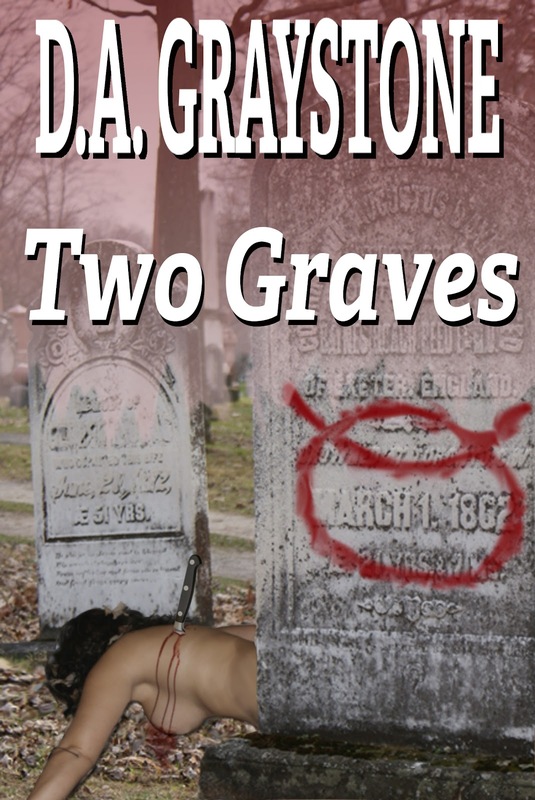 Derek followed up with Two Graves, a crime novel about a serial killer who is killing look-alikes of the people who bullied and terrorized him in his youth. Derek is planning to release the next in the Kesle PD series called Too Many Graves which will appear in 2012. Currently, Derek is working on the first novel in the Witches of Aquarius series; Windcrusher will be released in 2012. Derek lives with his wife Yvette in their home in London Ontario when they aren't visiting their island getaway in Exuma, Bahamas. Derek is also the father of four girls and one boy and has five granddaughters (and another grandchild on the way, due in August). What is the main premise of this book? I, like so many others, was bullied when I was a kid. But I’m not one to write an intellectual treatise on the cause and effect of bullying on children and adults. I’m not out to change the world. If you were ever bullied, imagine if you finally had enough and decided to get even. That is what my killer does in Two Graves. Using computer aged photos of his high school tormentors, my killer sets out to get even with look-alikes, using the killings to reveal their past crimes. And he has had years to dream up some imaginative, and rather gruesome, methods for getting even. The title is from the Chinese proverb; “When you set out on a journey of revenge, dig two graves.” This is a lesson that many of the characters in my novel have to learn. When reading, do you prefer eBook or paperback? I always thought I would be a paperback man – after all, I still do all my editing on paper, not the computer. 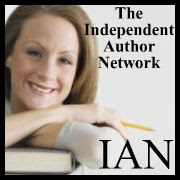 I only bought my Kindle to make sure that my Indie published books converted well. And then I downloaded a novel to try it out and I have been hooked since. I love seeing my paperbacks sitting on a shelf but you can’t beat the convenience, clear image and ease of reading from the Kindle. Put it down to my own eclectic tastes, I can’t stick with a single genre. Currently, I am working on the first book in an urban fantasy series about witches, Spartan warriors, and old Gods called Witches of Aquarius. At the same time, because I get distracted easily, I am plotting out the sequel to Two Graves called Too Many Graves. What does it mean if you spend a large part of your day trying to decide if that really would be a good place to dispose of a body? More than at any other time, I feel like the “me” I want to be when I am writing. The cover was my design and, luckily, I happened across a beautiful naked body lying in the leaves. The knife was just an added bonus. In the sunshine, on the deck of the house in Exuma that I intend to buy when I become an obscenely successful author. In fact, during the Shamrocks and Sirens event, that is exactly where I am, working on my next novel but, unfortunately, just for a week this time. Luckily, it is a very private deck (see below). I would if I ever wore them. Pepsi. But unlike Lt. Mann in Two Graves, I quit drinking it when I hit an average of 8 to 12 cans a day. I’ve been clean for almost 6 years. So do you like to cook? I suppose I am more of an eattie than a foodie but give me a BBQ and I can make anything. What is something you never leave home without (apart from keys, money and phone)? My good luck necklace that I have worn since I was in my 20s. It is a golden bunch of bananas that remind me of my dream of spending my days writing my novels on a tropical island. Do you sleep in or get up early? As the father of five and a registered insomniac, I can honestly say the last time I slept in was after my emergency appendectomy. And even then the damn nurses kept waking me up to see if I needed anything to help me sleep. If you were to attend a St. Patrick’s Day Party, which one thing would you never leave behind and why? A Shillelagh because you never know when you might need a good blunt object.